One of the challenges in shifting to more open research practices is finding examples to give you an idea of where to start. To address this challenge we are introducing a new series of example projects meant to illustrate some of OSF's capabilities and to collect tips and tricks from researchers in different fields. The first of these is the OSF Example Lab project that demonstrates how researchers from multiple fields are using OSF to tie together and organize entire labs. The Example Lab project includes components for common lab documents, lab meeting notes, a place to link all research done at the lab, and a component set up as an ideal starting point for new studies. Whenever researchers in the lab start a new experiment they can simply copy this component using OSF's “Duplicate as Template” feature to get a new project pre-populated with the lab's standard structure. The Lab Project's main wiki has instructions for completing all the common tasks in the lab as well as documentation of the different OSF features that the project utilizes. You can see this all in action at EBRLab, Dr. Etienne Roesch's (OSF, ORCID) interdisciplinary Cognitive Science lab at University of Reading, UK. ERBLab is also a great demonstration of using a lab project to organize both public and private materials. If you compare the public project with [this screenshot](See bottom of page) that Dr. Roesch shared of his personal view, you can seea number of aditional components containing the lab's active research and their own internal collaboration materials. Because OSF gives you complete control over what is private and what is public, researchers at the lab get a central dashboard for all their research while the rest of us see something much closer to a lab website. Unlike a traditional lab website, the OSF Lab project is directly tied into the research management workflow and will automatically update itself as new research materials become public. Using an OSF lab project can help you share and collaborate around a whole range of materials necessary to keep a research lab running. Dr. Corina Logan (OSF, ORCID), recently tweeted "I love love LOVE #OSFramework for managing my data, data collection, instructions on how to collect data, all of our protocols, getting people on my permits, how to recruit undergrads (with pre-drafted emails), and more!". Because OSF is designed to integrate with other services, you can use a lab project to pull together these materials from across the various tools used by your research team. This mixing of services is a central challenge for the work at Dr. Gretchen Neigh's (OSF, ORCID) lab where the research team includes members from multiple institutions, each with their own required or preferred set of software tools. According to Dr. Neigh, "OSF is the only platform that bridges across all the places where I work". 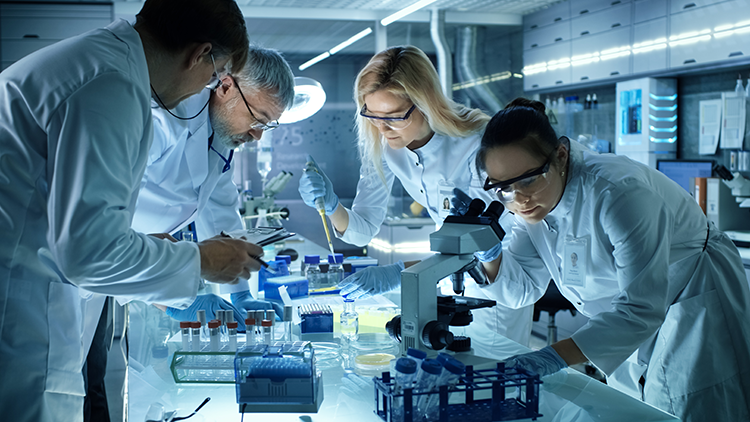 Whether you are looking to build a public presence for your lab, connect the different software tools used by your team, or just pull together all the various material necessary to manage day to day lab activities, OSF can be a powerful option to consider. The new Lab Example OSF project is a great place to find ideas, documentation, and a working template to get you started. Let us know how OSF works in your lab or other collaboration by tweeting @OSFramework or emailing contact@osf.io.